At the beginning of each academic year all the SibFU creative teams invite all 1st-year students (and not only them!) to enroll in a team, studio, or any favorite band. 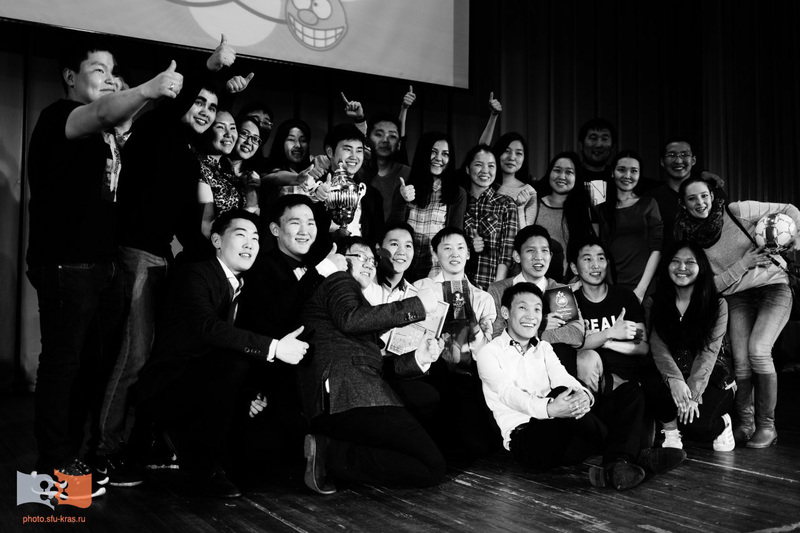 KVN, abbreviated from “Club of the Cheerful and Quick-witted” in Russian, is a popular Russian humour TV show and stand-up competition where teams (usually college students) compete by giving funny answers to questions and showing prepared sketches. For those who want to play KVN we have more good news: every autumn there will be a SibFU KVN League Festival held, which is open for all teams of university students. The Cheerful and Quick-witted only need to register in advance and prepare a funny 5-minute speech fitting in the format of the introductory stage of the competition. Even sooner you can try yourself by performing in the traditional show-contest for 1st-year students “Proshu Slova”. 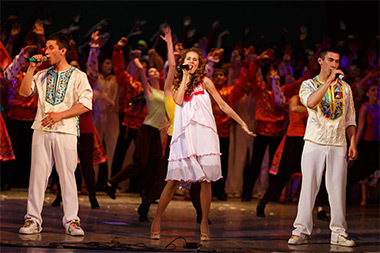 The event will be held in the second half of October at the Krasnoyarsk Musical Theater. 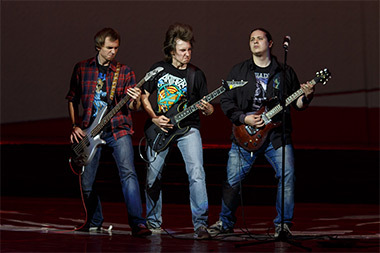 Newcomers start their preparation for the Schools’ stage of the contest at the beginning of September.